Arched windows always add an elegant touch to your home’s décor that can be appreciated for providing great views from inside and “curb appeal” from outside. When driving around San Diego, you can see many San Diego homes have these beautiful large arched windows. 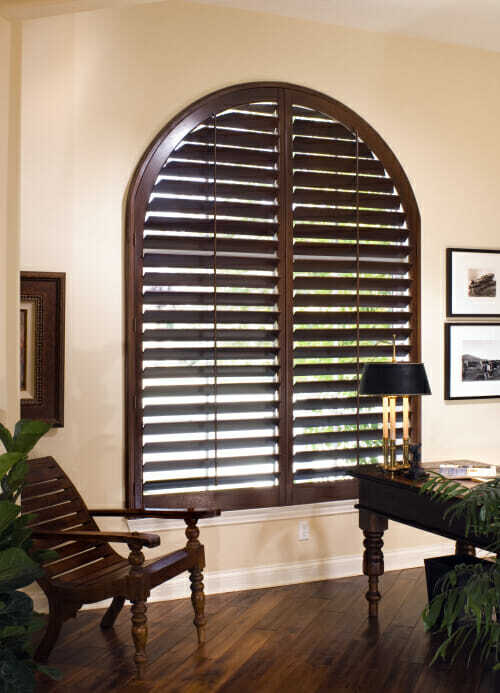 What you will also see is that many of these arched windows remain uncovered because there are only a limited number of options for window treatments that can completely cover an arched window. 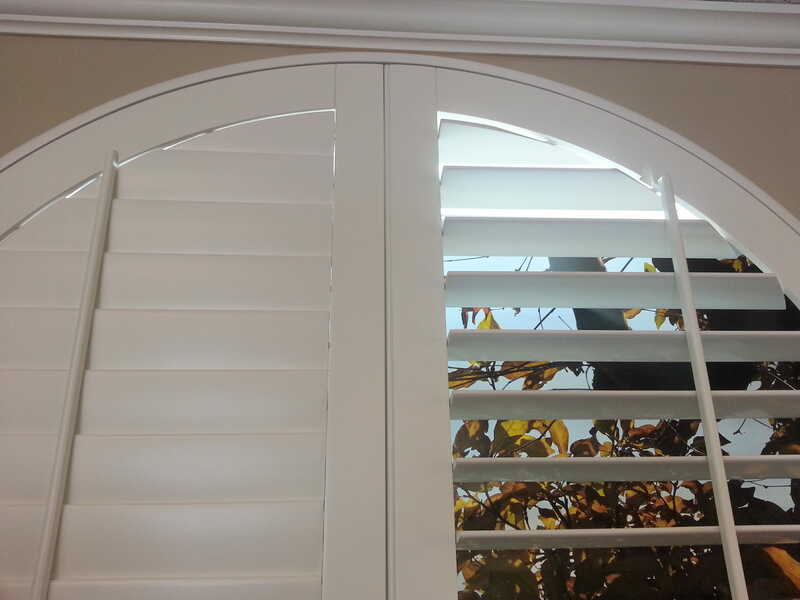 Custom shutters are one of our favorite solutions for arched windows because they can be custom built to fit any size window and stained to match any homes existing decor. 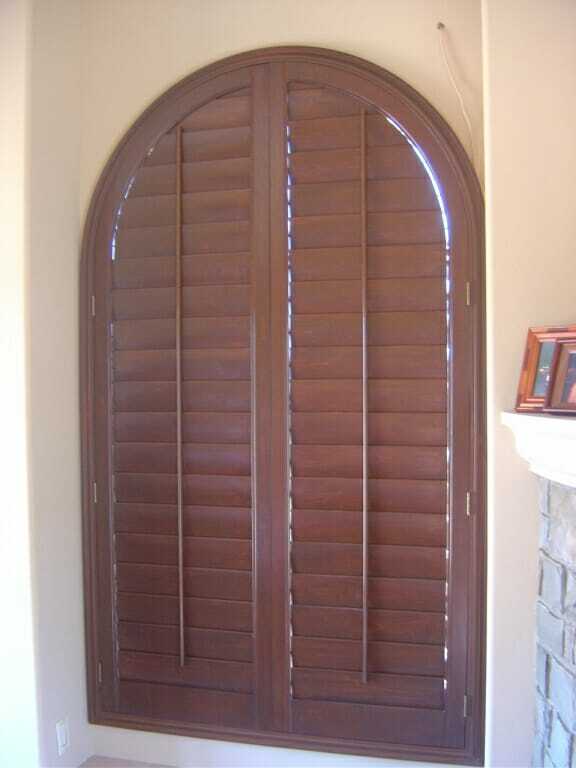 When covering arched windows with shutters there are two options. 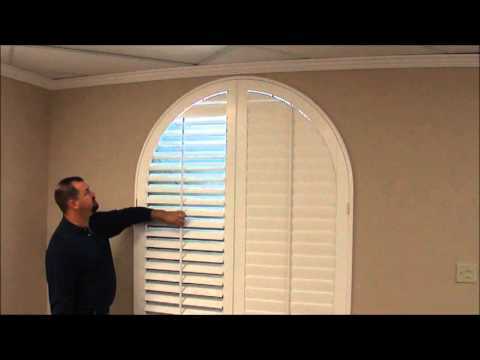 The most popular option is a fully framed arched window shutter like you can see in the first half of our video explaining arched shutters. Fully framed arches like these are really a conversation piece in a room because they are so beautiful and they really make a room pop. We like to think of them as furniture for your windows. 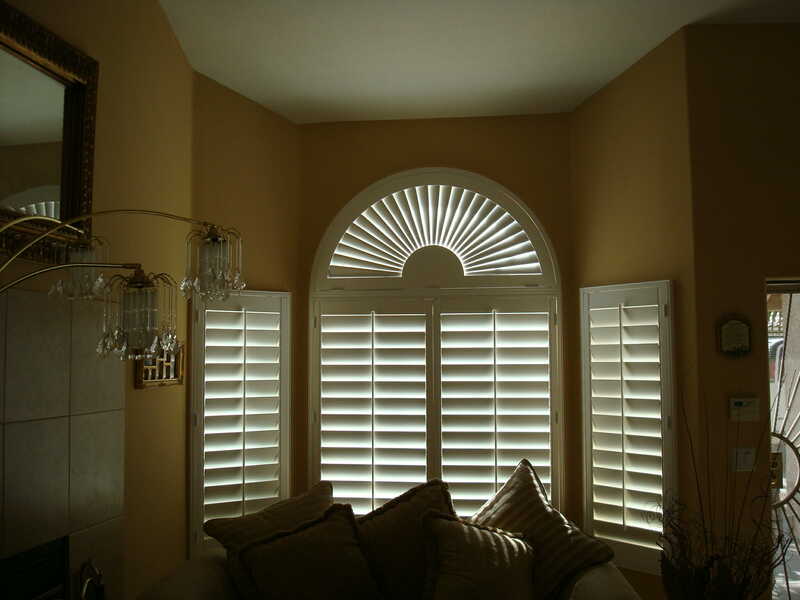 Your second option is to install standard square shutters on the bottom and a sunburst or fixed arch above the square shutters. 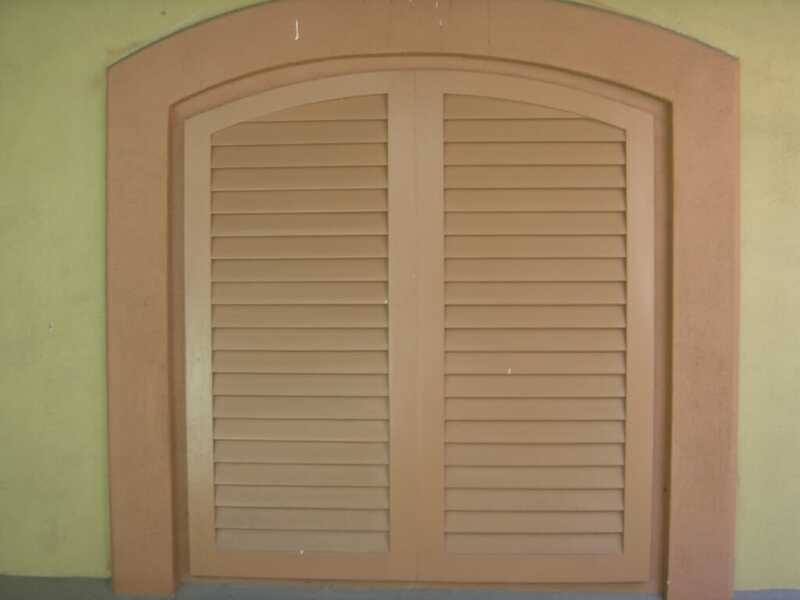 This option is usually a little less expensive than a fully framed shutter. 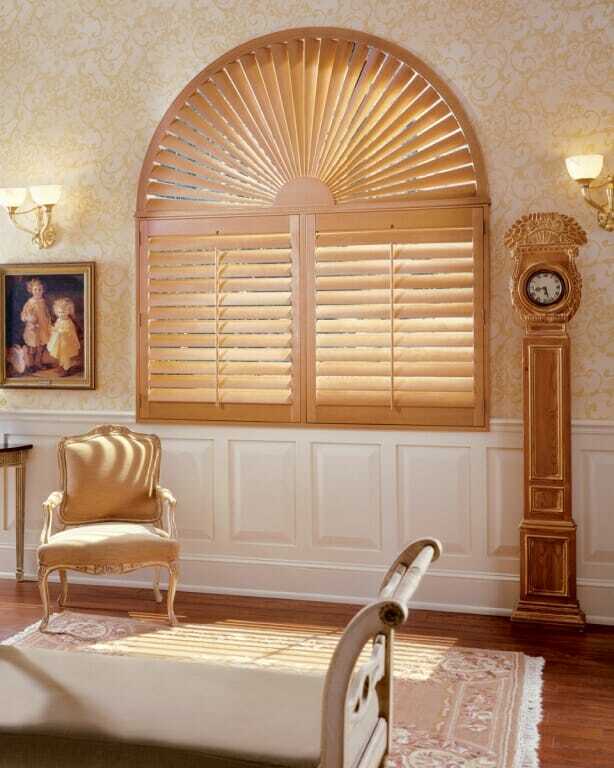 While we prefer fully framed arched shutters over square shutters with a sunburst, the fully framed arched shutters are typically more expensive because they are handmade by only the best craftsmen in the factory. 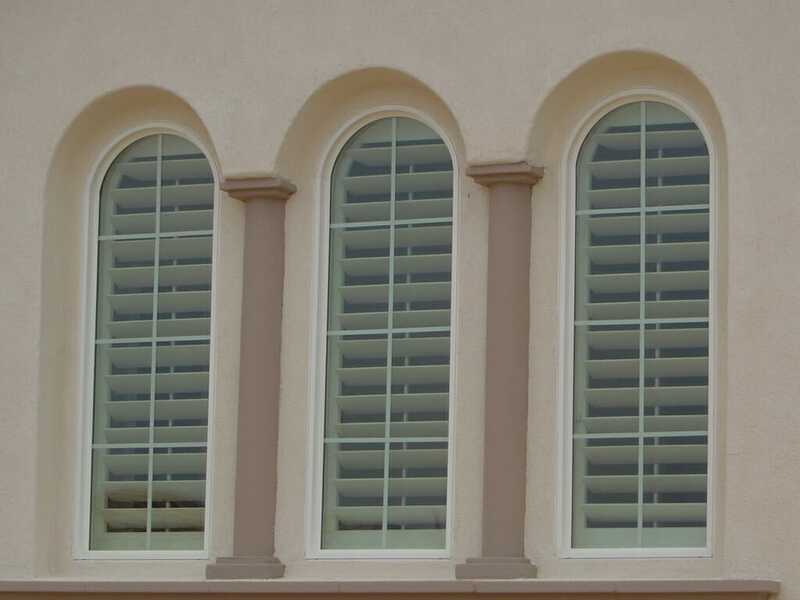 For this reason, fully framed arched shutters will usually take longer than traditional square shutters to build and install, so please plan accordingly. 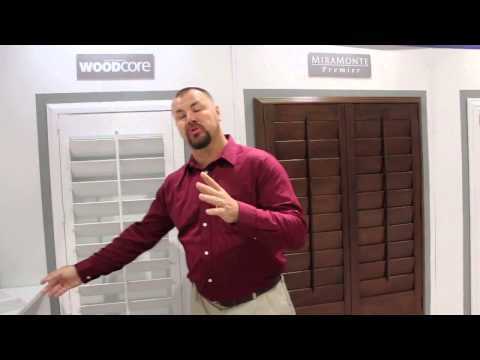 What a great experience working with this professional knowledgeable company. I love the end product and the team fulfilled everything they promised. 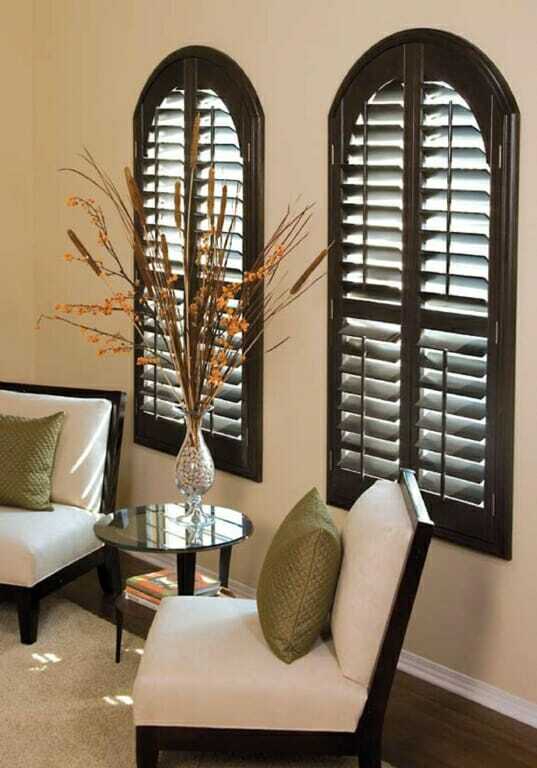 Fabulous job 3 Blind Mice, I love my new shutters. Extremely professional, helpful and polite service. The experience with the company was great from the home visit to pick options for blinds to the installation. They company was very responsive and prompt. The office worked very hard to work with my schedule. All of the representative showed up right on time and were very personable and knowledgeable. I was worried about wrinkles in a set of the Roman blinds that were installed and I receive an almost immediate call back and a very quick scheduling for steaming. Very good experience. I wish all companies provided this great of services. I think everyone was exceptional. Sherry was very good to work with and very knowledgeable. I liked that I received the quote the day that she came. Chris was great when he came to measure the windows and again when he came to steam the Roman shades. It was great how Ruben kept me informed of the progress. Barbara was great in working around me schedule. Rusty and Brandon were a great team and had all 18 windows done in great time. I am very happy with the entire process! It was fun to pick out my window coverings, and I didn’t feel pressured at all to make quick decisions or to address areas I wasn’t ready to look at. Installation was smooth and the installers were great guys. I love the way my new windows look….lots of compliments and I really feel like the process was customized just for me! Great service. Very attentive. Product is amazing and really helps with my energy bills. EVERYONE was fantastic! 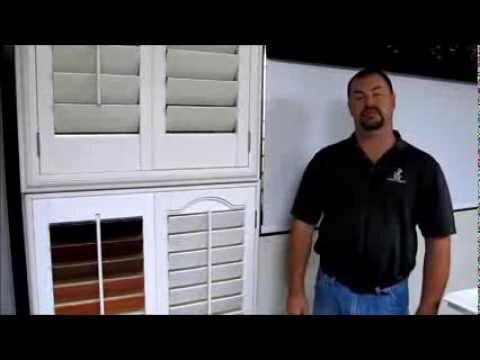 Following the original install, I noticed the sliding glass door blinds were not fully closing (the panels didn’t lay against each other and you could see inside/outside the house). When I telephoned and explained the problem I was experiencing, their response was to get back to my house (very quickly I’d like to add), and with a little tweaking they now close as they should. I appreciated their quick and efficient response! From start to finish, it was a pleasure dealing with 3 Blind Mice. Thank you! 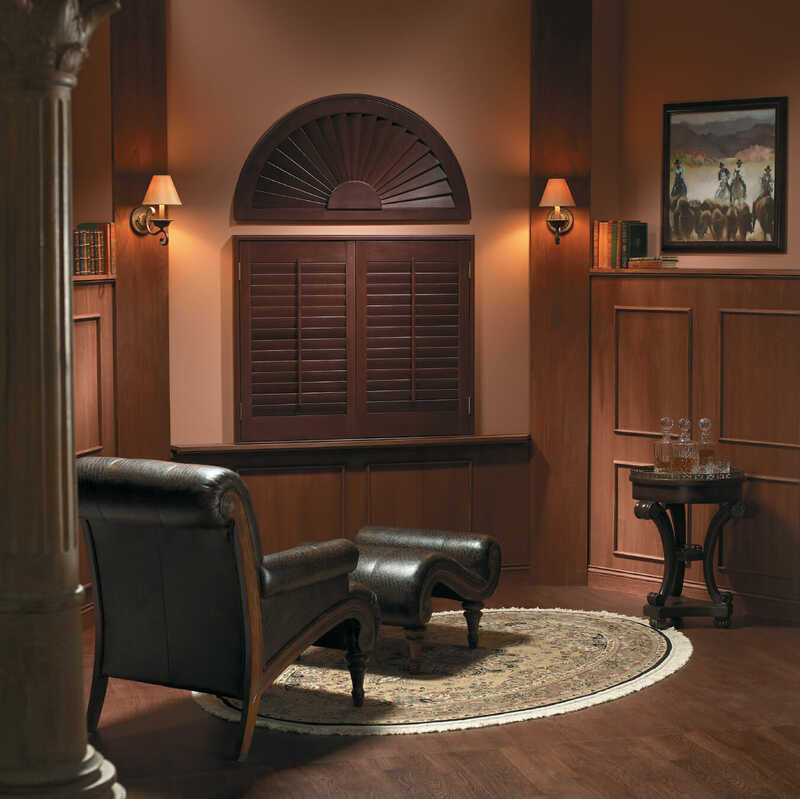 We love the Roman shades from Graber. They have the most extensive and unique woven shade selection we have ever seen. My blinds were completed ahead of schedule, and they worked around my work hours for both consultation and installment. I highly recommend. Rick, my installer, did an outstanding job on the installation. Fast, courteous, and made sure everything was cleaned up and disposed of before he left! They were very professional, from Tammy’s initial visit to the installers and their work. Everything fit perfectly, and we love our new window coverings! We have used Three Blind Mice on three occasions for three different types of window coverings. We have been delighted with all of the results. Not only are the finished products exactly what we needed the quality and service were excellent. We would not hesitate to recommend them! Quality Installation, QUALITY Product!! I chose the blinds that have the lining to Stop the light from penetrating the blind. These were in a bedroom with three large south facing windows. When they are closed, 97% of the light is blocked!! The rising sun no longer wakes me up!! 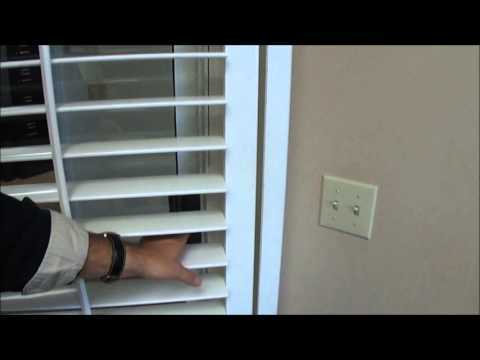 I call these types of blinds, Accordion type! Two go up and down for the windows, one large one goes left and right for the sliding glass door!! Love my new blinds; color is perfect and the installation was flawless. Schedule a free consultation today and let our experts help you find the perfect solution. Once I place my order, how long will it take me to receive it? After you have selected and agreed to purchase custom window treatments they can take from 2 -8 weeks to fabricate and be installed, depending on the availability of the fabric. 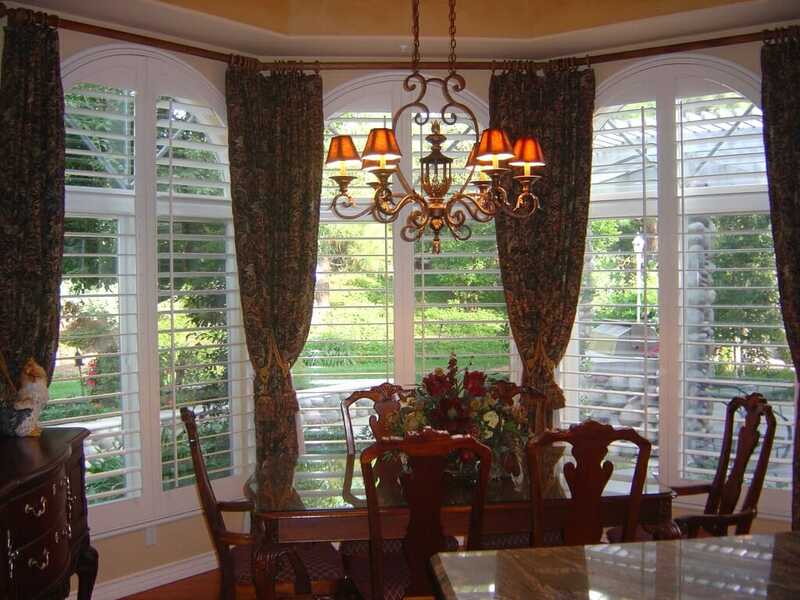 Since the window treatments are custom 3BM requires full payment to begin the fabrication. We accept all major credit cards and checks. Why should I choose 3 Blind Mice? 3 Blind Mice not only has quality products at an affordable price, but we also provide professionally certified installers and an outstanding customer support team. Our commitment to our customers has been rewarded by winning the coveted Better Business Bureau’s Torch Award for marketplace ethics multiple times and through our customers’ referrals and online reviews. Who does your installation? Is it guaranteed? 3 Blind Mice not only has quality products at an affordable price, but we also provide professionally certified installers and an outstanding customer support team. Can the designer bring fabric samples to my in home consultation? Our designers will design the best style for your home and your budget. The designer can bring fabric samples to your home or you may choose to visit the local Design Center with the designer. What type of fabric selection do you offer? Three Blind Mice offers a variety of different fabrics for any type style of drapery you choose for your home or office decor. We have a variety of custom fabrics, trims, and rods that can be incorporated into any type of design. Curtains or drapes can be used alone or in combination with the many other types of window treatments that we have available. We offer sheer curtains, blackout & darkening curtains and valances in addition to a wide variety of motorized options for each. Styles of curtains we offer include flat panel, tab top, grommet and rod pocket. What factors should I consider when choosing window coverings? There are so many factors when choosing coverings, your choices can seem overwhelming. The biggest factor in your decision is knowing whether you need privacy, light, or a combination of both. 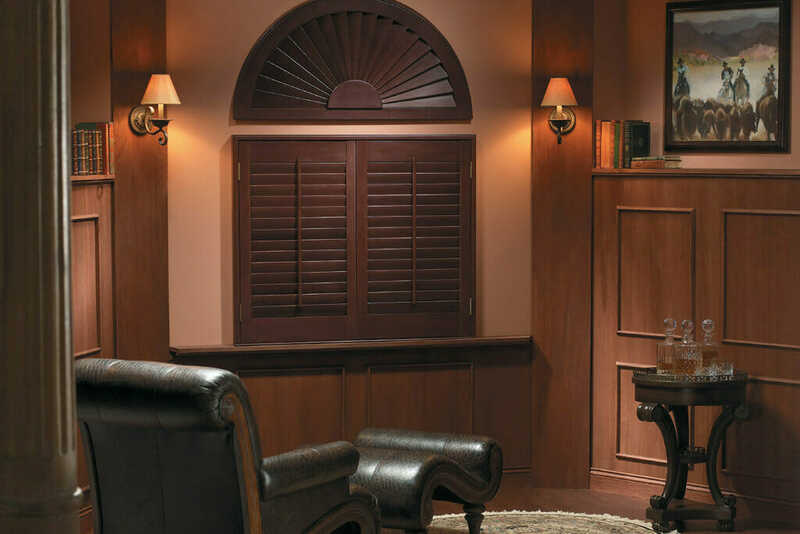 How do I choose the right window treatments for my home? When choosing the right window treatment for your home, it's important to take all the elements into consideration. Wall color, type of window, how much light you want coming in, etc.